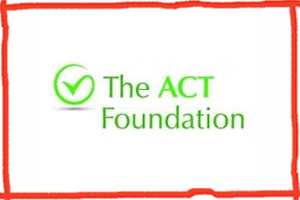 The ACT Foundation (ACT) was formed in 1994 and is registered with the Charity Commission. They provide grants to individuals and other UK registered charities with the aim of enhancing the quality of life of people in need and, particularly, those on a low income who have a physical and/or mental disability or the elderly. At ACT, they believe that people living with a physical and/or mental disability or a long-term illness should have the same choices, quality of life opportunities and aspirations as others. The flooring for the centre, which includes the ramp on the entrance to make the whole centre accessible and inclusive to all, the interactive sensory flooring for the messy play area, as well as the carpets for the quiet lounge and therapy room. Our dining area for the children, this includes a lovely modern table & chairs suitable for all ages and abilities, cutlery, plates and drinking cups. The Trust’s administration office, which includes new desks and ergonomic chairs, some blinds for the large windows, and crucial supplies such as ink and paper to keep us functioning for many months to come. These above areas the ACT Foundation have funded are such crucial to the centre, thanks to ACT the children can access the centre with ease, the children can enjoy their lunches in a colourful, fun and safe environment, as well as the Trust being able to operate from a comfortable and safe office. All of this is enabling us to provide further support and care to disabled children around Sussex and Kent. We have invited the ACT Foundation to a private viewing of the centre, so we can show them the fantastic work they have funded, but also our grand opening on September 14th 2018. We cannot wait to show them what we have done! We will update this news post with pictures of the work that they have funded, so keep your eyes peeled!